Our mystery seeds from last week were from the ocotillo, Fouquieria splendens. 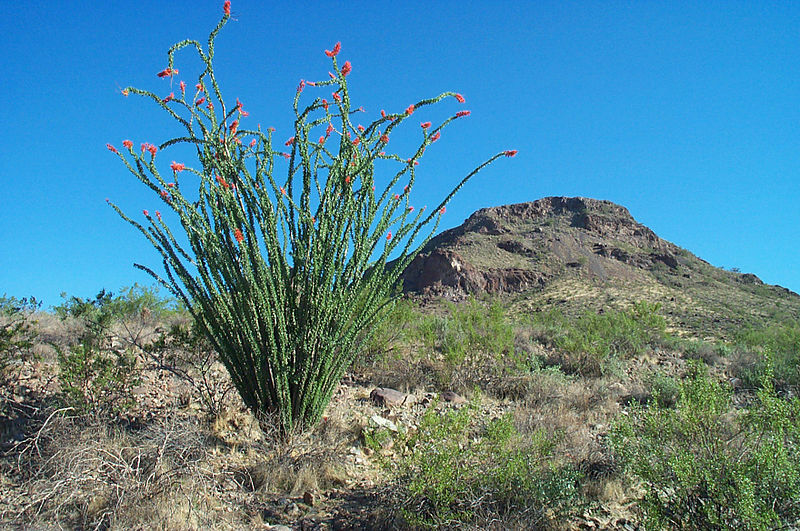 Ocotillos are a common sight in the Southwest. During rainy seasons the branches are covered with small green leaves and have bright orange-red flowers at the tips. During the dry parts of the year, the leaves turn yellow and drop off, leaving a spiky stick behind. In the past, the "canes" were cut into lengths and used to create a natural fence. Often the canes would take root and grow. Firefly Forest has a lovely set of photographs of ocotillos. For various reasons, Seed of the Week/Mystery Seed will be on hiatus for the next two weeks. Do ocotillos grow where you live? 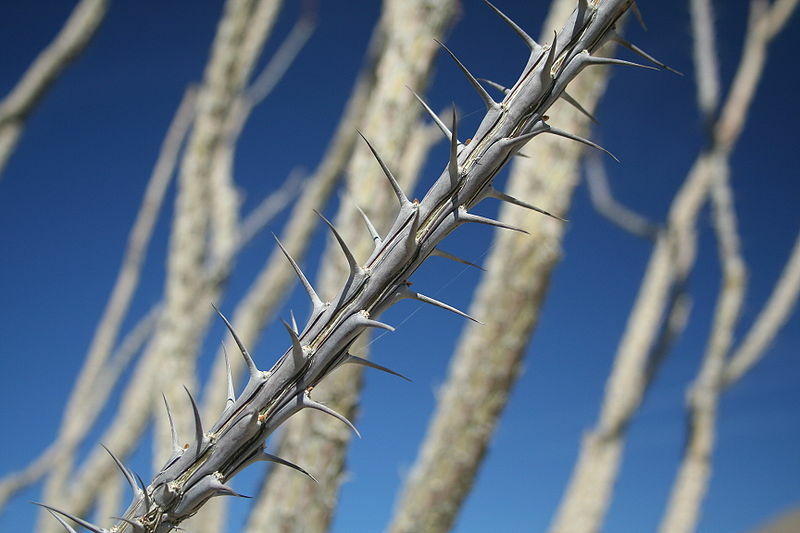 Have you ever seen an ocotillo? Enjoy your stay in Arizona! Good to hear from you. Your posts about wildfires are very timely. This is one of my favorite plants. 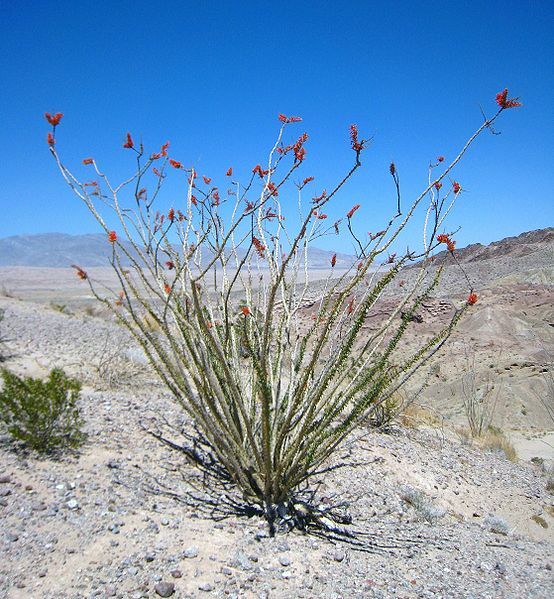 I took desert biology years ago and met ocotillo then for the first time. They are lovely in each stage.